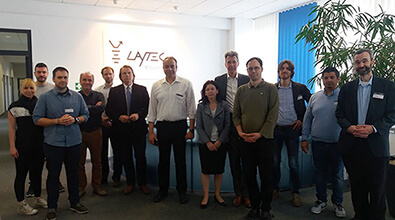 SmartLine's 6th month Consortium Meeting took place at LayTec's facilities, in Berlin, on April 13th, with participation of AUTh, CRF, LayTec, Aixtron, IBS, Suragus and OET. The Kick-Off Meeting of the H2020 CORNET project took place at Brussels 26th January 2018 with the participation of all partners: Aristotle University of Thessaloniki-Coordinator, OET CRF, CNRS, AIXTRON, University of Surrey, Fluxim, University of Ioannina, Granta, NPL, HOPE-A and the Project Officer of EC. The main objectives of the Kick-Off Meeting were to introduce the teams of the project and its administration and to present and discuss in depth the project objectives, the workplan and the next steps for the first 6 months, as well as the next Technical Meetings and the work for the preparation of the first deliverables of the project. 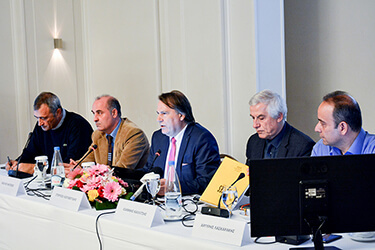 The SmartLine Project Press Conference, successfully took place at the Center of Organic & Printed Electronics in Thessaloniki on 3rd October 2017. 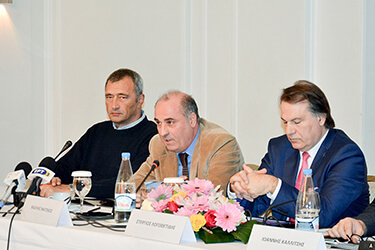 Prof. S. Logothetidis, Director of Nanotechnology Lab LTFN, Dr. A. Laskarakis, Head of the Organic Electronics Group of Nanotechnology Lab LTFN, and Mr. V. Matskos, CEO of Organic Electronic Technologies provided the journalists with an overview and answers on the EU funded Project, which started in September 2017 and is about to optimize the manufacturing of Organic Electronics and shape the Digitization of Industry. 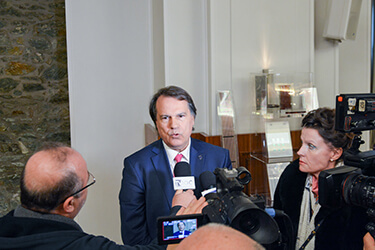 You can download the press release (in greek) here. 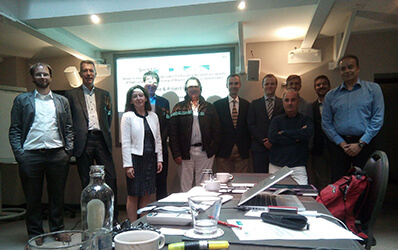 On the 15th of September, the Kick-off meeting of SmartLine Project took place. SmartLine is funded by the EU Horizon2020​ research and innovation programme and will be coordinated by the Nanotechnology Lab LTFN. The Project's mission is to create intelligent and zero-defect manufacturing processes of Organic Electronic devices by developing robust and non-destructive in-line metrology tools and a process control platform. For more info visit SmartLine's website www.smartline-project.eu. 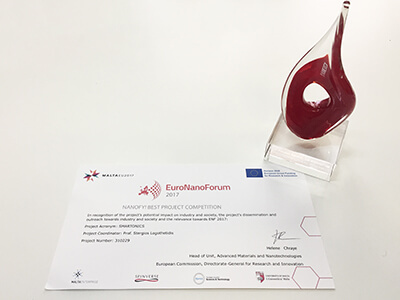 The Smartonics Project was awarded by EU as the 1st Runner-Up for the Best Project Competition, in recognition of the project's potential impact, dissemination and outreach towards industry and society. The competition and award ceremony have took place during the EuroNanoForum 2017 on 22 June 2017, where the top FP7 and Horizon 2020 projects had the opportunity to share their success stories, showcase their demos and concepts. 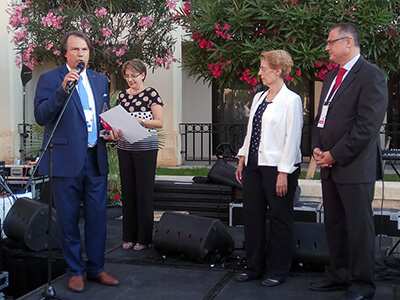 Prof. Stergios Logothetidis (Project Coordinator) received the prize for the Project's nomination on behalf of the Smartonics consortium. 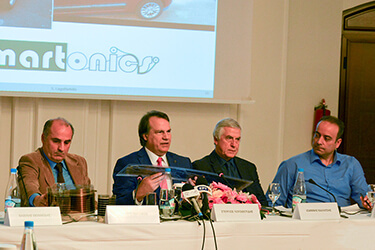 The Press Conference for Smartonics Project closing took place on Monday 16 Jan 2017 at Porto Palace Conference Centre and Hotel, Thessaloniki - Greece. 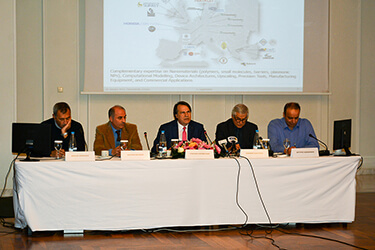 During the press conference, the project's achievements were announced to public and media, while 6 greek project partners (from research, academia and industry) commented on the project's results and future perspectives. 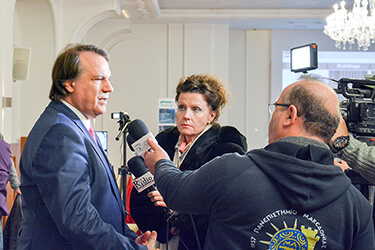 You can find all the relevant press clippings (in greek) here. Below you can find some of the event's highlights. 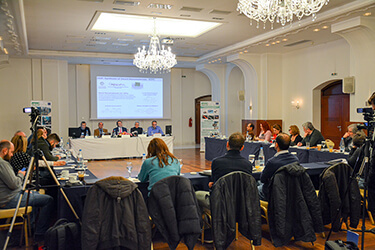 The 8th Workshop "Boosting the Organic & Printed Electronics Industry in Greece" took place at Thessaloniki, Greece at May 30th 2016 with the participation of several representatives from Academia, Industry and representatives from regional and national goverment. 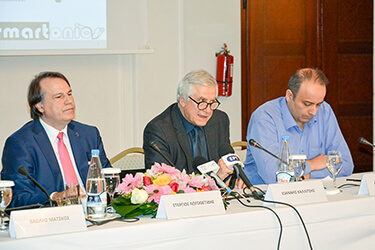 The Workshop started with the inauguration of the newly founded Center of Organic and Printed Electronics - Hellas (COPE-H), which is an initiative of Nanotechnology Lab LTFN of Aristotle University of Thessaloniki, Greece.